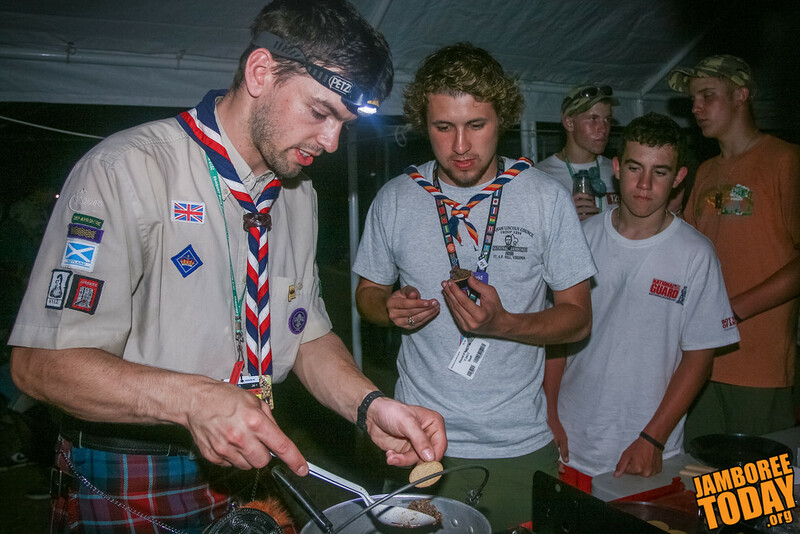 For months, tens of thousands of young men in all fifty states and twenty-nine countries have been preparing to attend the 2010 National Scout Jamboree at Fort A.P. Hill, Virginia. The Boy Scouts of America is celebrating one hundred years, and the jamboree has been its pinnacle event. None of this would be happening were it not for a simple act of kindness. One young Scout, in 1907, helped one lost business man lost in the fog of London. William D. Boyce, the lost American traveler, was so impressed that he learned about the Scout’s organization and brought it to America. Without that one act of kindness, the Boy Scouts of America would never have been founded, and likely neither would the Girl Scouts of the United States. Millions of young men and women would have missed the opportunities for leadership development, life skills training, and lessons in how to work with others. Kindness is a gift that keeps on giving. One young boy gave so much to so many people, just by helping another person find his way. So kindness is enshrined in the Scout Law, so that all members of the Boy Scouts of America are reminded of the importance of this special virtue. Stereotypically, Boy Scouts help old ladies across the street. In real life, they help teach elementary school children to read, serve food to the hungry, build homes for the homeless, conserve Mother Nature’s resources for future generations, and even occasionally help a grandmother across the street. With each of these little bits of kindness, so many benefit. Students learn to read and think critically about their world and how to make it better. Hundreds of mouths are fed. A family has shelter and is able to raise healthy children who will grow into leaders in society. The forests, deserts, mountains, and waterways of the world will be there for our grandchildren. And grandmothers who have safely crossed the street will continue to inspire those grandchildren. As the 2010 National Scout Jamboree begins to wind down, the 45,000 Scouts and Scouters in attendance have been reminded of these lessons in kindness, and how one simple kind act has made possible their Scouting experience, with all its benefits. When they go home, they will return the favor 45,000 times over. If just one kind act can improve the lives of millions, it is easy to believe that 45,000 people doing kind acts over their lifetimes will change the world. Through Tuesday, I plan to blog about Scouting’s main principles as set out in the Scout Motto, Scout Law, and Scout Slogan. Daniel M. Reck, M.S.Ed., is a copy editor for Jamboree Today, the daily newspaper of the Boy Scouts of America National Scout Jamboree at Fort A.P. Hill, Virginia. An Eagle Scout, he is also the Assistant Director of Greek Life, Leadership, and Involvement at Monmouth College in Illinois. Jamboree Today was the news service of the National Scout Jamboree, founded at the 1937 inaugural event in Washington, D.C., and continuing until 2015. This archive is not affiliated with the Boy Scouts of America. Photo proceeds support Scouting activities.